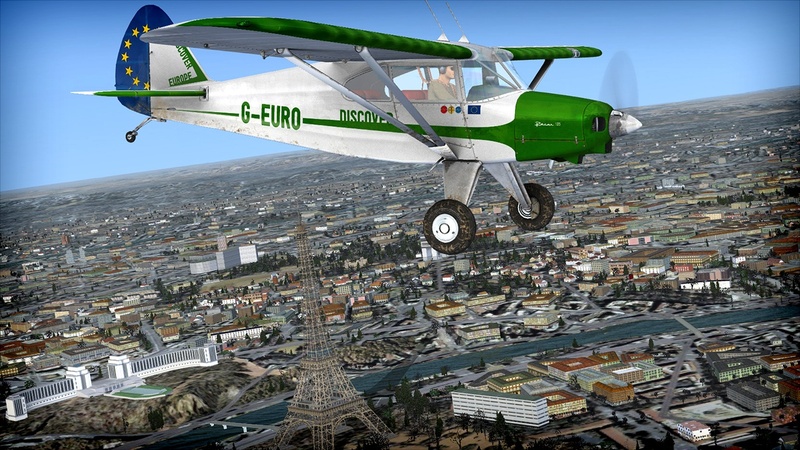 Put your piloting skills to the test over the Pyrenees with the highly popular Discover Europe flight plan pack from First Class Simulations, now available for Microsoft Flight Simulator X: Steam Edition. Following your tour around Europe affords the opportunity to visit Paris, Rome, Madrid, Venice, Prague, Warsaw, Vienna, and a whole host of countries and cities that reflect the multicultural tapestry of the continent. With a range of flights for both novice and seasoned aviators the developers hope that there is something for everyone, from challenging approaches to a leisurely Mediterranean descent into the playground resorts of the rich and famous. The adventure is supported by lavish extras including a tourist’s guide to all the destinations visited, detailed pilot’s notes, a comprehensive briefing and a tutorial for the included Piper aircraft. Wanted to fly over major destinations over Europe and get to know the beautiful sights?